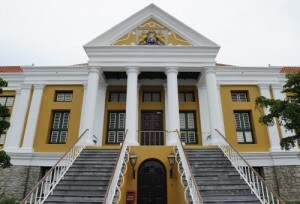 WILLEMSTAD – The Court of Appeals in Curaçao confirmed the bankruptcy of Giro Holdings. By ruling of the General Court of March 2 this year, Giro Holdings N.V. was declared bankrupt. The bankruptcy was requested by the Fundación Privada Giro Mandate. After the ruling of March 2, Giro Holdings appealed the court’s decision but this was rejected today. Based on an investigation conducted by the Court of Appeals it became clear that Giro Holdings cannot comply with its payments anymore. Giro Holdings borrowed 3 million dollars from Giro Mandate. For this loan, a member of the board of directors of Giro Holdings gave a promissory note on November 15, 2013. The Court of Appeals does not believe that this note was issued in error. Besides the loan was given under the instruction of Eric Garcia as authorized by Giro Mandate on May 13, 2013 and as a member of the management of Giro Holdings. Lawyer Valerie Mary of VPM LAW, has been appointed as liquidator. Giro Holdings N.V. is one of the shareholders of Giro Bank N.V. The bankruptcy of Giro Holdings N.V. does not affect the account holders of Giro Bank N.V.